Low chain-breaking levels react in the form of luminol or as a univalently oxidized luminol radical with a variety of ROS, including O2% H2O2, and Off [12, 30]. Luminol is sensitive to H2O2 and this sensitivity can be greatly increased by addition of horseradish peroxidase. The lumi-nol signal generated by human spermatozoa is initiated by a one-electron oxidative event that is mediated by H2O2. A luminescent signal is produced with luminol through a one-electron oxidative event mediated by H2O2 and either endogenous peroxidase or by addition of HRP . Oxidation of luminol (one-electron) leads to the creation of a radical species which interacts with ground state oxygen to produce O2% which participates in the oxygenation of luminol radical species to create an unstable endoperoxide, which breaks down and leads to light emission. In this, the O2" is an essential intermediate for the luminol-dependent chemiluminescence. Also, the redox cycling activity associated with this probe allows the significant amplification of the signal and allows easy measurement of H2O2. Lucigenin works through a one-electron reduction unlike luminol which requires one-electron oxidation that creates a radical from lucigenin; this radical gives up its electron to the grounds state oxygen to create O2", thus returning the lucigenin to its parent state [12, 30, 31]. The luminol probe is more advantageous than the lucigenin probe for several reasons. Luminol measures both intracellular and extracellular ROS such as hydrogen peroxide, superoxide anion, and hydroxyl radical; on the other hand, lucigenin measures only the extracellular ROS, and in particular, superoxide anion [22, 30]. 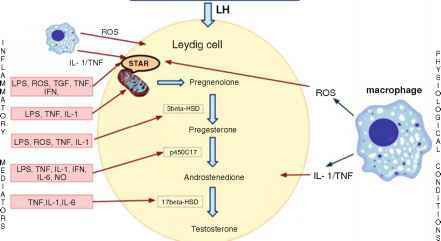 Lucigenin is an excellent probe for evaluating O2" production as a nonspecific redox marker for the enhanced electron transfer activity associated with defective sperm function. Both the sensitivity and specificity of this probe are enhanced by its redox cycling activity [7, 29, 30].